Paris Saint-Germain head coach Thomas Tuchel will have his work cut out as he comes up with a starting XI for the first leg of his side’s Champions League last 16 tie away to Manchester United on Tuesday. United will be buoyed by PSG‘s recent injury crisis as they look to continue their fine run of form since the arrival of Ole Gunnar Solskjaer and dismissal of Jose Mourinho seven weeks ago. “We have not got a second Neymar or a second [Edinson] Cavani for that matter,” Tuchel complained. He reportedly asked for two new central midfielders out of Everton‘s Idrissa Gueye, Watford‘s Abdoulaye Doucoure, Lille’s Thiago Mendes and Zenit Saint Petersburg‘s Leandro Paredes, the latter being the only one to arrive in a deal worth 47 million euros. It is rumoured that Tuchel‘s spat with sporting director Antero Henrique has come as a direct result of Henrique‘s failure to bring in the desired transfer targets. 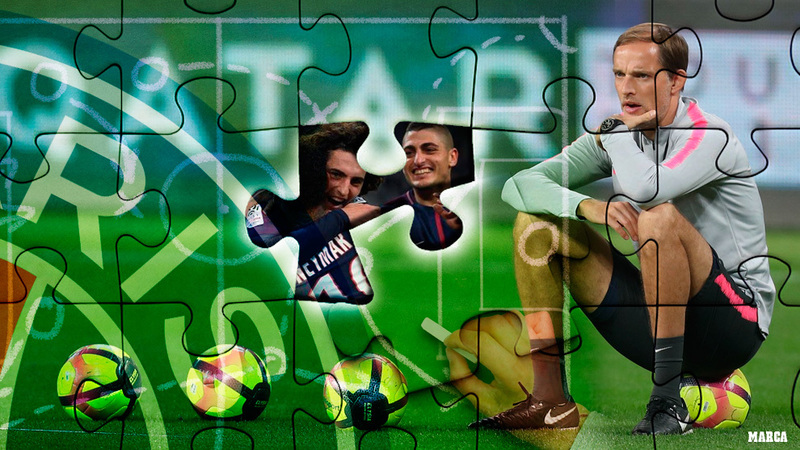 PSG‘s only silver lining is the return of Marco Verratti, who recovered against Bordeaux after it initially looked like he would be a doubt as well. Tuchel started the season by opting for Unai Emery‘s favoured 4-3-3 formation, however over the course of the season he has been using it less and less frequently, so it seems unlikely that he would revert to it in such an important tie. Di Maria and Draxler would be used as attacking midfielders with the job of unlocking United‘s defence and utilizing Mbappe‘s raw pace in the process.